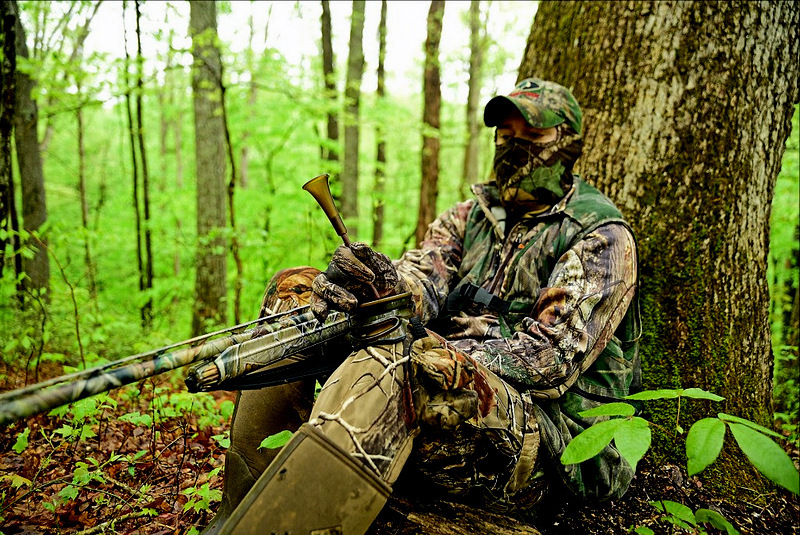 A hunter calls a gobbler during spring turkey season in West Virginia. Photo courtesy W.Va. Div. of Commerce. West Virginia’s 2019 four-week spring gobbler season opens Monday, April 15, and runs through May 11. Hunters can harvest one bearded bird per day with a season bag limit of two. The one-day youth season will be held April 13, the Saturday before the regular season. Youth at least 8 years old and younger than 18 can harvest one bearded bird which counts toward their season bag limit of two. Check the 2018-2019 West Virginia Hunting and Trapping Regulations Summary for details at www.wvdnr.gov/hunting/Regs1819/Turkey.pdf. The West Virginia Division of Natural Resources is anticipating an average harvest for spring gobblers this year. The division typically predicts the spring harvest by using the brood reports from two years earlier because the average harvested spring gobbler is a 2-year old bird. In 2017, brood production was 30 percent below the five-year average. However, Mike Peters, a game-bird biologist for the division, emphasized that 2016 was a banner year for broods because of the eruption of the 17-year cicadas, an abundant food source. “2016 was an exceptional production and recruitment year,” said Peters. All hunters age 15 and older are required to have a West Virginia hunting or sportsman license and a valid form of identification while hunting. A West Virginia hunting or sportsman license can be purchased at approximately 180 retail agents around the state or online at wvhunt.com. Division officials remind sportsmen and women that hunting turkeys over bait and killing hens is illegal. Turkey hunters are encouraged to report any such activity to their local Natural Resources Police Officer or call 911 to report the violation. In addition, the West Virginia Chapter of the National Wild Turkey Federation pays a $100 reward for information that leads to the arrest and conviction of anyone using bait to attempt killing wild turkeys.